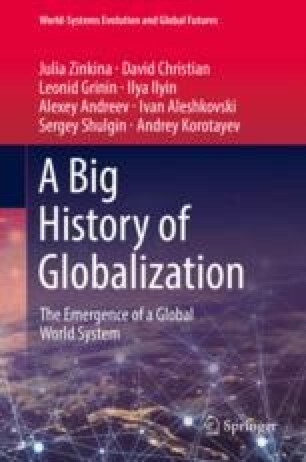 This book on globalization sets its theme within the framework of deep time—without hesitation and on the largest possible scales. It asks, in effect, what “globalization” looks like if you ask your question within the framework of a universal history of humanity, the biosphere and even the cosmos. Why set the subject of globalization within such a broad conceptual and temporal framework? Is it really necessary to talk about the history of the universe in discussing a theme as modern as globalization? This introduction will suggest some of the ways in which such a broad framework can deepen and enrich our understanding of what we mean by globalization, and it will sketch out the big history framework within which we discuss globalization.